In humans, this plant pathogenic fungus is now causing infection in different sites of the human body. This mold is a potential allergen and is the leading cause of allergic fungal sinusitis. Some people may experience hay fever or asthma. Bipolaris spicifera causes allergic fungal sinusitis characterized by the presence of fungal balls and polypoid chronic Rhinosinusitis in the sinuses of both healthy immunocompromised people. 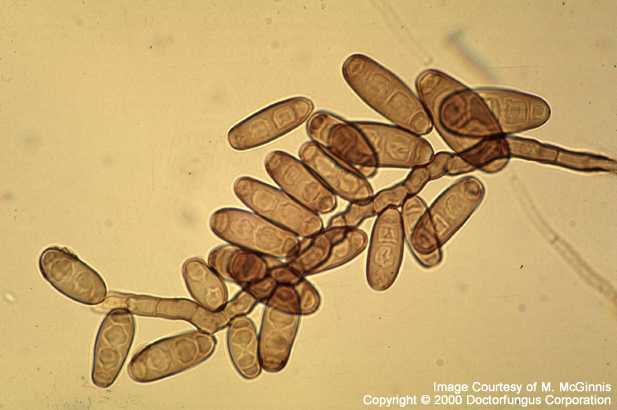 In certain people with sever allergies, the large spores of this fungus can travel to the sinuses (upper respiratory tract), where they attach to the mucus and grow, producing an unrelenting allergic reaction that progressively and permanently damages the sinuses. 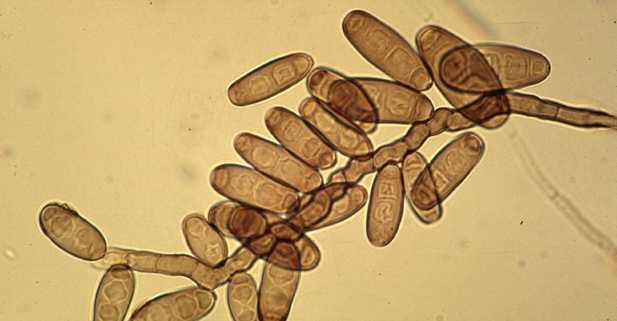 Bipolaris can grow as a mold in semi-dry environments, and dry spores are distributed by wind. For this reason, this fungi is associated with biological soil crusts in desert grasslands of Utah and Wyoming, and in arid climates like Saudi Arabia. Bipolaris grows in plant debris, soil, and acts as a plant pathogen towards numerous plants, particularly grasses. It can grow inside on a variety of materials. Bipolaris has been reported to produce the mycotoxin – sterig-matocystin – that has been shown to cause liver and kidney damage when ingested by laboratory animals. This mold can present human risk factors. They can lead to opportunistic infections in both health individuals as well as immunocompromised persons. 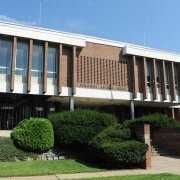 lehighvalleylive.com	Phillipsburg Cops Wanted Out of Moldy Building by Mid-March. Want to Kill Mold? 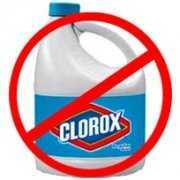 Don't Use Bleach!